Honest question, are your fingers stinging with residual pain as ours? Because intense kite flying competitiveness can and will do that to you. We learned that, well with a sting. In all fairness, the sky had like a Holi celebration of its own, it seemed yesterday. 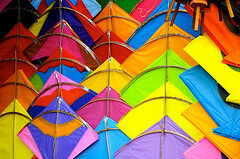 It was dotted with specs of tiny kites flying ferociously past each other, cutting with delicate precision and ease that comes from experience. Since we’ve been all over the place (quite literally, with the shifting of the Main office to Ahemdabad), it was nice to take the day off and enjoy the festival in all its colorful beauty. Yesterday, no strings attached, may have been more achievable than you thought! And oh those breath taking kandils, painted the perfect landscape of light against darkness, clear skies as a wonderful accompaniment. It is often in such moments of sheer awe, that life’s simple truths dawn upon us, only to be forgotten a couple of moments later. But then again, that’s what makes those moments the most memorable ones. 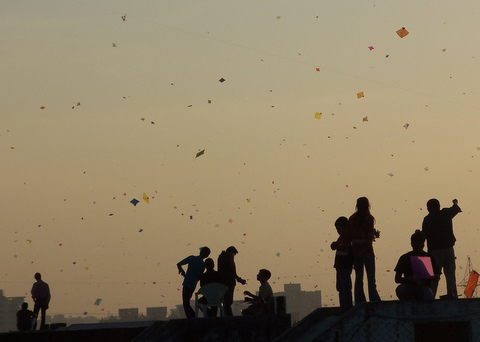 Over countless servings of yummy til gud laddoos, we saw so many children running around as Kite Runners fighting over and scoring kites, way fancier than the ones they were flying. Oh well, pain beckons with the cruelty of Mad Eye Moody as he Crucio-ed that little spider .